I'm no stranger to laser hair removal. In fact, I've had a number of sessions done to my underarm area before. Unfortunately I didn't complete the required amount of sessions because I had to fly back to Tokyo at the time so I wasn't able to reap the full effects of it. Lasering unwanted facial hair was another process I've been considering for a long time but never got around to it, mainly because all the establishments I checked out were way beyond my budget. I almost resigned myself to the fact that I'd have to continue plucking and shaving my face everyday until I got an e-mail from Skin House asking me if I wanted to try out their Gentlemax Pro for hair removal. Cue the angelic choir! 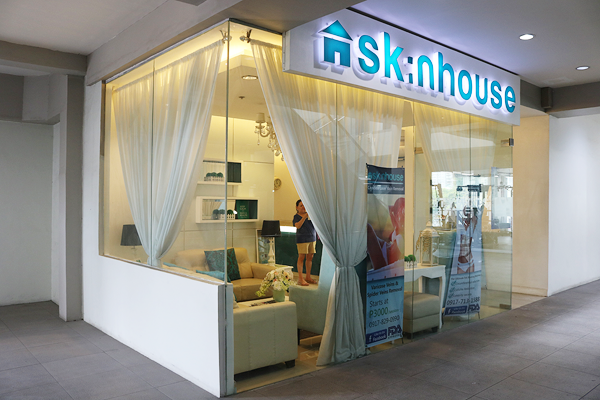 Skin House currently has two branches; one in Quezon City and another in Pasig. I think they're moving their QC branch elsewhere within the area though, so for now I can't give the address for it. Being from the Makati area though, I opted to drop by their Pasig branch located inside Pioneer Centre. Thankfully the clinic was easy to find! If you're planning to visit yourself, as soon as you enter through the main entrance of Pioneer Centre supermarket, take a left and head up the escalator. You can't miss it! 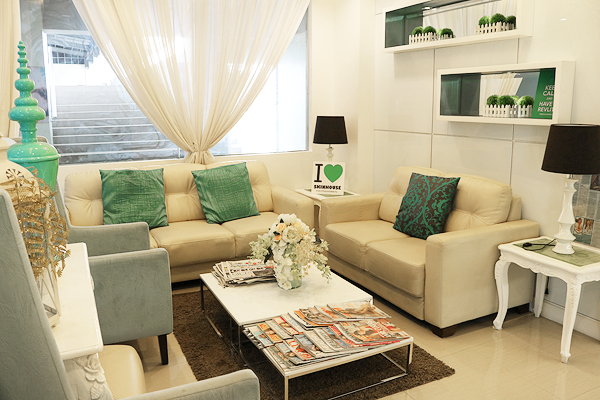 The clinic itself is bright, clean, fully air-conditioned, and tastefully decorated. Their waiting area is 'stocked' with the latest issues of different magazines and newspapers and up to seven people can be accommodated comfortably. Of course before my actual treatment I was given a quick tour of the entire clinic. 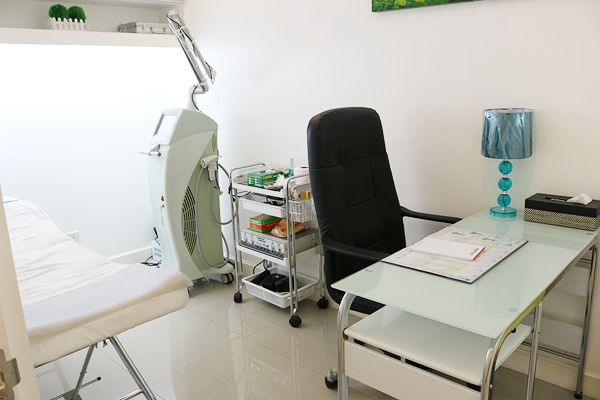 This is the dermatologist's office where you can consult about any current treatments or services you're having done or planning to have done. 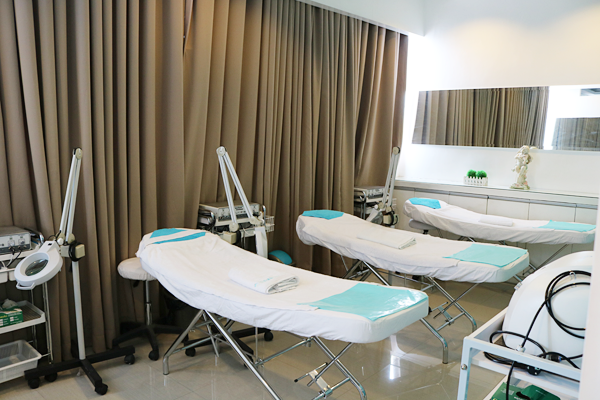 This room is for those who are availing the Venus Freeze treatment. 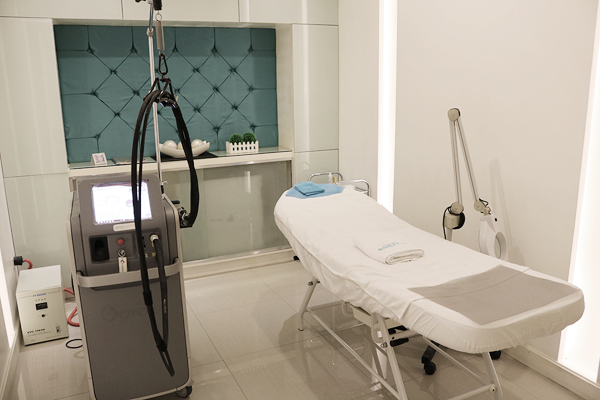 In a nutshell, Venus Freeze is a procedure that uses pulsed magnetic fields to instantly lift and tighten skin, as well as reduce fat in targeted areas. I believe it's PHP3,500.00 a session. 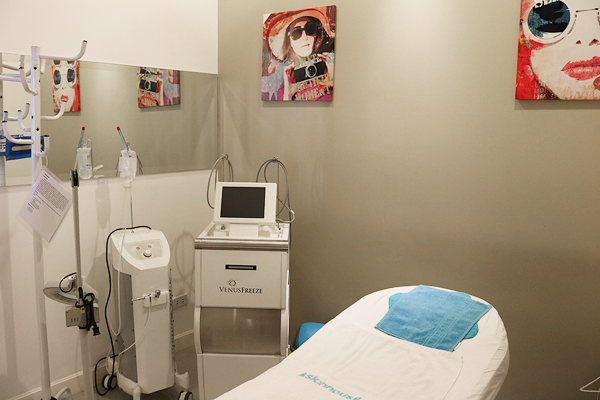 This is the only non-private room in the clinic reserved for the likes of facials and other more 'basic' treatments. Finally, here's the room where I was to try out the GentleMax Pro. Just like the rest of the clinic it's very clean and well-organized. I'm always a bit turned off when treatment rooms are cluttered! There's even a coat rack at the corner of the room (not pictured) where you can hang your bag/s. Alright, so I'm sure some of you are wondering what exactly is the GentleMax Pro and how does it differ from other laser hair removal technology? 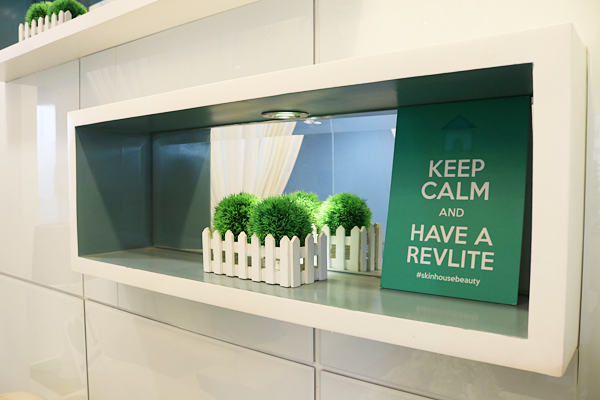 According to Skin House, "Gentlemax Pro Laser Hair Removal is a revolutionary system that uses a combination of two laser sources – Alexandrite 755nm and the equally powerful Nd:Yag 1064nm." Compared to other laser technology out there, GentleMax Pro is faster, has longer-lasting effects, and you'll see be able to see permanent hair reduction in fewer sessions. Not only that, but GentleMax Pro, similarly to Venus Freeze, can treat facial and leg veins, fine lines and wrinkles, as well as promote skin tightening and overall skin rejuvenation. How does it work? Laser energy, delivered as an intense beam of light through a small hand-operated instrument, is absorbed by the skin and converted to heat. This heat is only absorbed by the precisely targeted cells so it essentially 'spot blasts' the hair away. Depending on the practitioner carrying out your treatment, they may (temporarily) mark the areas to better visualize what areas to target and to also make sure they don't overlap those areas. Does it hurt? As someone with a low threshold to pain, I was surprised with how much easier I was able to tolerate the pain than I initially expected. Yes, there is some pain, but true to what was described, it just feels like someone snapping a rubber band against your skin. In the same manner, that also means it's quick and it (the pain) starts to fade almost immediately. After my treatment, my skin just felt a little tender for about half an hour before it was back to normal. How many sessions will you need? Like any laser hair removal process, the number of sessions will depend on the hair being targeted as well as your skin tone. 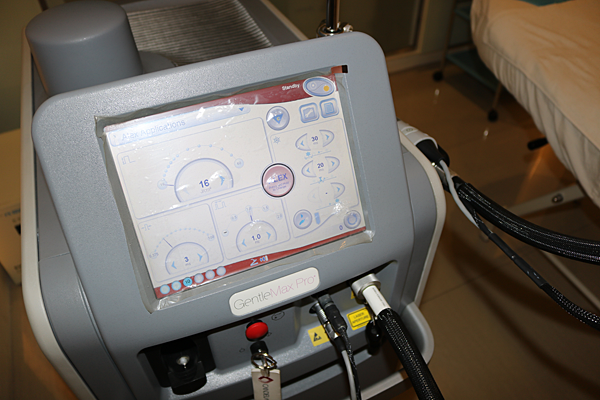 I have dark hair but fair skin, so only the Alexandrite 755nm laser source was used on me. If you have a darker skin tone with dark hair, the Nd:Yag 1064nm will be used first and when the hair eventually thins after repeated sessions, then the Alexandrite 755nm can be used instead. Are there side effects? Possible side effects may include redness, swelling, hyperpigmentation, hypopigmentation, blistering and purpura (laser bruising). These are all temporary though and shouldn't last more than a few days. I, personally, only ever experienced very slight redness. After treatment, the practitioner will apply anti-inflammatory cream to the targeted areas to reduce any redness and soothe the skin. The practitioner will also give you a full list of post-care treatment instructions that you should follow. I had two different GentleMax Pro treatments done - one for my upper lip and the other for my chin. I had two sessions of each done as well, with one session every four weeks. The hairs on both my upper lip and chin area are very dark, the ones on my chin are also thicker and more stubborn, so you can imagine I was a bit doubtful that I'd see any significant results within those first two sessions. I predicted that I'd need to be at least 4-6 sessions in for that. GentleMax Pro proved me wrong though! After just the first session I already noticed that both sets of hair grew back patchier and slower. Within a couple of months after both treatments were complete, that's 4 sessions in total (2 for upper lip and 2 for chin), my hair still grew back slower and thinner. I could easily let 1-3 days pass before the hairs become visible enough for me to feel the need to get rid of it. Prior to the treatment I used to have to shave or pluck both areas every single morning because my hair grows that fast. Overall my upper lip has shown better results, but like I said, my chin hairs are a lot thicker and stubborn so they'll definitely need more sessions before the hairs visibly thin out too. It's been more than 3 months since my last session and my upper lip hair continues to grow back slower, thinner, and patchier than normal. Still no need to shave it everyday! However, like I mentioned, since the hairs on my chin are thicker and stubborn, they've reverted back to growing quite quickly so I've returned to plucking them away daily. Not the fault of the treatment though since I'm sorely overdue for another session as it has to be done every 4 weeks. The fact that I didn't have to do any daily plucking in that area for weeks after my first set of sessions is already testament to how good the treatment is for me! All in all, I'm really happy with the GentleMax Pro treatments I've received so far. The results exceeded my expectations and now I'm no longer as self-conscious about my facial hair as I used to be. In addition, getting ready in the morning is easier and faster since I don't have to worry as much about shaving or plucking anything from my face (aside from my brows). Now if you'll excuse me, I'm off to book more sessions!